After 20 years of discussion, it is possible that the National Organic Standards Board will vote to prohibit aeroponics, hydronpoincs and aquaponics from official U.S.D.A. organic certification at its fall meetings in Jacksonville, FL, in early November. At least two subcommittees of the board and opposing factions of the grower community have been debating this issue since the law establishing organic certification first was passed in the mid-1990s. A proposal basically eliminating these growing methods – often grouped under the bioponic label – has been put on the agenda for the fall meeting. In fact, a series of proposals deal with each growing method a bit differently, and also look at other issues surround these production techniques including liquid nitrogen, artificial lighting and the makeup of container soil. Since the establishment of the government-approved organic seal, growers using these production methods have been able to be certified. And, in fact, certification of product utilizing these growing techniques have been on the rise. 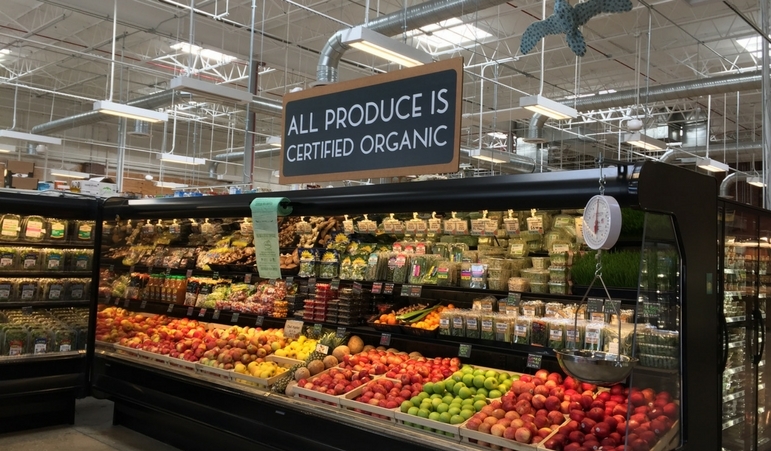 There is a very vocal segment of the organic industry that does believe products grown outside of the earth’s crust – saving a few exceptions – should qualify as organic. A recommendation by a task force agreed with that position in 2010, though its proposal to prohibit these techniques was never acted upon by the U.S.D.A., which is the administrator of the organic program. Lee Frankel, CEO of the Coalition for Sustainable Agriculture – a group aligned with these maligned growing methods – believes passage of the proposal will depend upon grower turnout at the meeting. His group believes these growing methods are consistent with what many believe is the key theme of organic production, and that is that it does not include the use of synthetic pesticides. Anti-bioponic folks argue that organic production begins with the soil and must include a system that improves the soil – thus making soil-less production techniques ineligible for organic certification. Frankel said the NOSB has members on both sides of the issue. It will take 10 votes, representing two thirds of the committee, to pass the proposals and prohibit hydroponic, aeroponic and aquaponics production. It is also possible that the NOSB will send the proposal back to subcommittee and continue to kick the issue down the road. Michelle Arsenault, the USDA’s advisory board specialist for the National Organic Program, said if the NOSB passes the proposal it is still only the initial step in which would most likely be a very long process. The proposal would then go to the USDA’s Agricultural Marketing Services staff where it would move into the rule-making process. That can be very deliberate with some proposals taking as long as a decade before coming to fruition. However, the process could result in changes in as quickly as a year. While Frankel is opposed to the prohibition proposal, he did note some compromise in some of the proposals dealing with container soil and other elements of the debate. He noted there could be room for compromise that might advance this issue beyond an up or down vote. He urged members of the bioponics community to get involved and testify. There are a number of ways that growers can make their voices heard on this topic. The NOSB is accepting grower comments on the NOSB Organic Comments website. Interested parties can also give a three-minute testimony during the two webinars on October 24 and 26. They can also sign up to attend the NOSB Fall Meeting in person, though the USA’s Arsenault said all of the available speaking slots have been filled so any new requests would be put on the waiting list. For MOM’s Organic Market, the Mid-Atlantic region's premier chain of family owned and operated organic grocery stores with 18 locations, selling organic produce is not just an option, it’s a mission. Though not experiencing the rapid growth the Washington organic apple industry has seen, production of organic pears in the Northwest is experiencing steady expansion entering the fall. A large group of "hard-core, old-time, organic farmers" are planning a rally at next month's National Organic Standards Board (NOSB) meeting in Jacksonville, Fla., to protest the U.S. Department of Agriculture for allowing hydroponically grown produce to be certified as organic. Are Packaging Claims Deterrents to Healthful Eating?